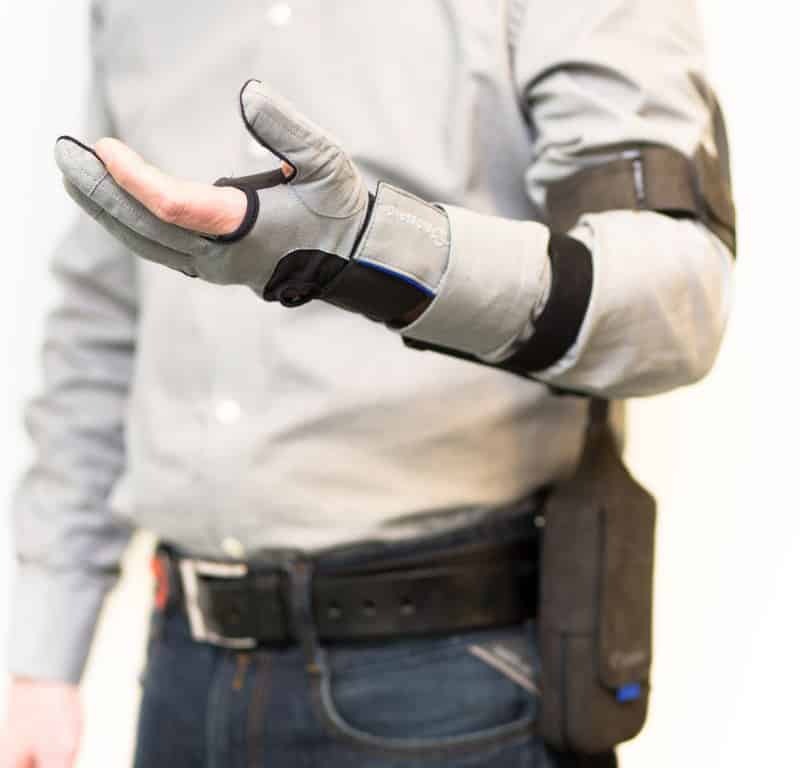 Wearable robotics designed to be used in an industrial setting is the fastest growing field of exoskeleton research. 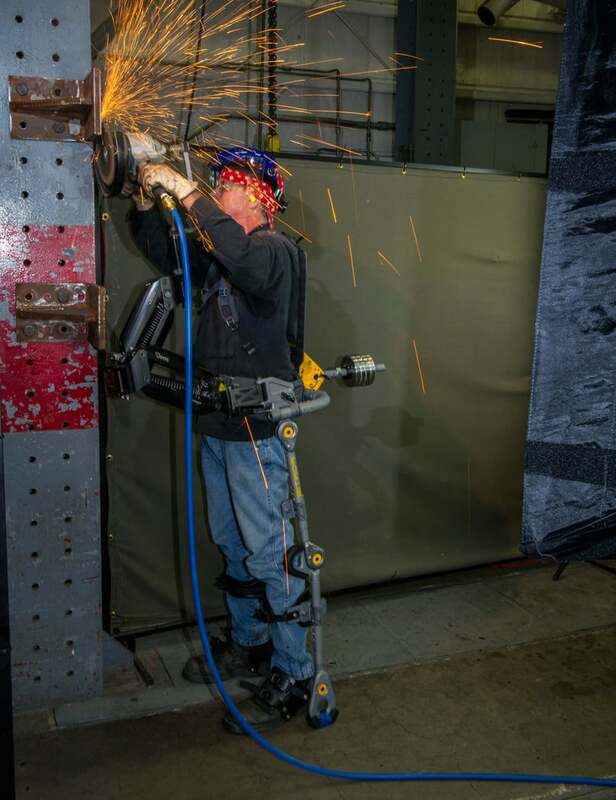 Exoskeletons for work and industry can be used at construction sites, dry-docks, factories, warehouses and even surgical rooms. 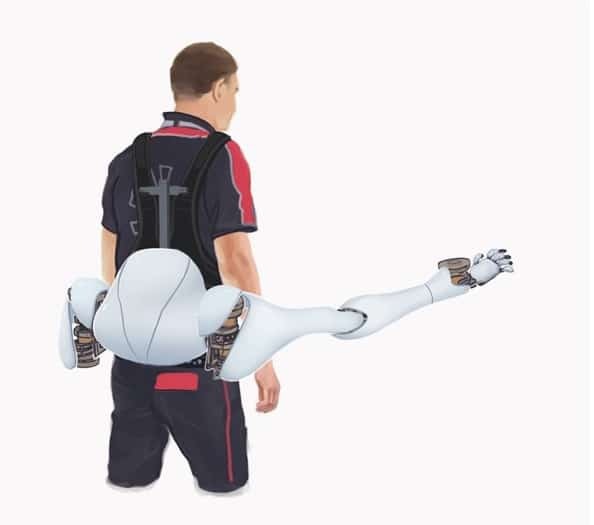 In the most recent presentation by the Wearable Robotics Association, Dr. Joseph Hitt described exoskeletons for manufacturing and construction as the “low hanging fruit” of the exoskeleton market. His argument is that medical facilities have a limited budget for rehabilitation robots and a dozen companies with years of experience already exist. In contrast, there are few exoskeletons for work and large industrial companies could buy millions of units for their workers in the coming decades. 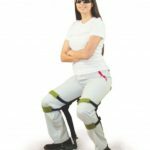 Exoskeletons for industry and the workplace offer three main advantages: Reduction in work related injuries, saving billions of dollars in medical fees, sick leave and lawsuits. Lowered worker fatigue, leading to increased worker alertness, productivity and work quality. The ability to keep quality and experienced personnel past their physical prime in the work force longer. Before listing over a dozen exoskeleton products and research projects that are meant to be used in the workplace, let’s separate them into categories based on what they are meant to do. 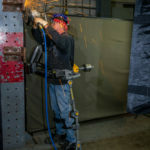 Tool Holding Exoskeletons: these exoskeletons consist of a spring-loaded arm such as the zeroG mechanical arm that supports a heavy tool on one end and is connected to a lower body exoskeleton and a counterweight. The exoskeleton is usually passive but there is at least one prototype with motors in the legs. The weight of the tool is transmitted directly into the ground. 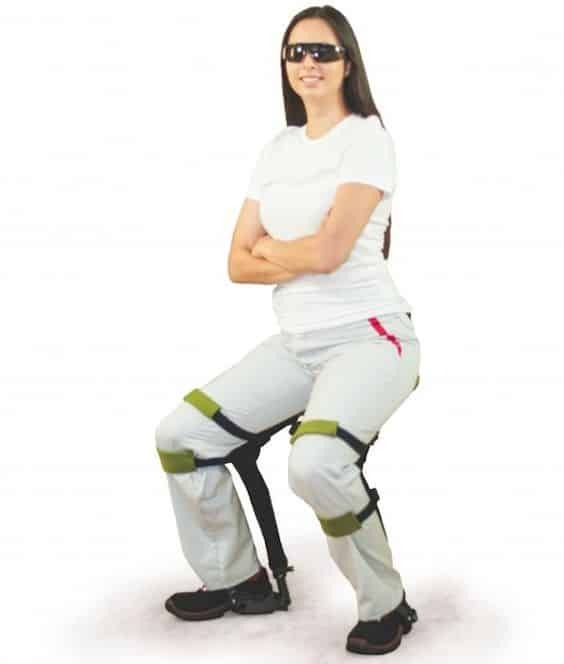 Chairless Chairs: these are lightweight exoskeletons worn on top of work pants which can stiffen and lock in place. This can decrease fatigue while crouching or standing in the same position for an extended period of time. 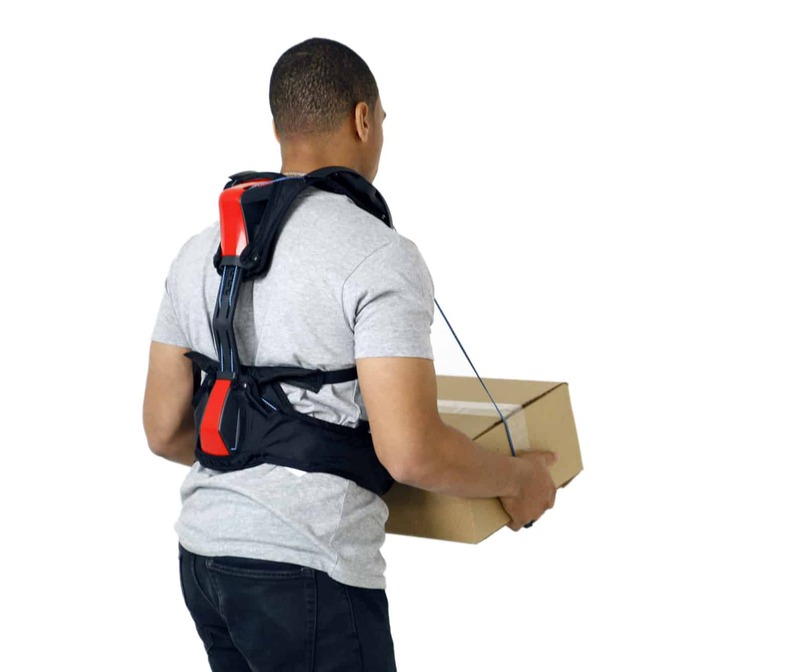 Back Support: these exoskeletons can maintain the correct posture of the back while bending down to perform a lift. They can also reduce the load on the back muscles or even on the spine while bending down. Powered Gloves: mechanized gloves that can help workers with a weak grasp gain a stronger hold on tools. 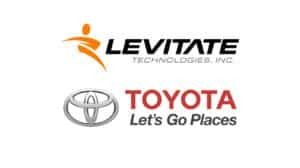 There are also devices that are used in reverse, in which workers that have trouble naturally opening some fingers on the hand to grasp tools can have them opened by an exoskeleton glove. 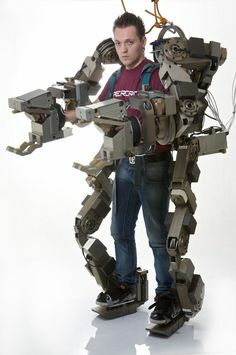 Full Body Powered Suits: up until a few years ago it was believed that large, full body powered suits will be used for work and industry. 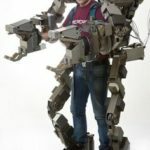 Now almost all developers have switched to smaller, specialized exoskeletons but there are still ongoing projects in this area. Additional / Supernumerary Robotics: exoskeletons that provide a second pair of hands. This is by far the most ambitious wearable robotics project for work and industry. Two or more additional, powered arms controlled by the wearer are used to hold tools or materials in place. Technically, tool holding exoskeletons are also supernumerary, however the arms are always passive, spring loaded and can’t be independently controlled. The design blog, Core 77 has several articles on the Noonee chairless chair and its history going back all the way to the early 1900s. 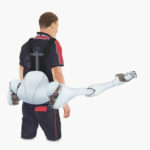 You may be interested in this science blog recently posted by NIOSH re Exoskeletons in the workplace. 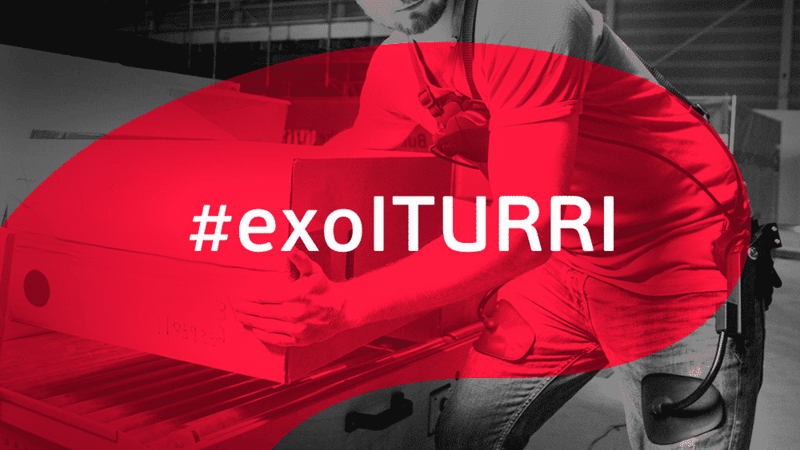 We would like to receive feedback on experiences of using exoskeletons in the workplace. Fantastic article! Thank you for sharing! Will definitely refer to NIOSH people that have experience using exoskeletons for work and industry. I did not see anything related to exhauss work modules. Also there are available french exo modules to help workers. And maybe I’ve missed it, also inophys has available working suits. Yes! Good catches on all points: I missed Hercule by RB3D and both passive exoskeletons by Exhauss. I also somehow omitted the Hip Auxiliary Muscle Suit by Innophys. I boxed myself in with the title of the article limiting me to 22 exoskeletons. 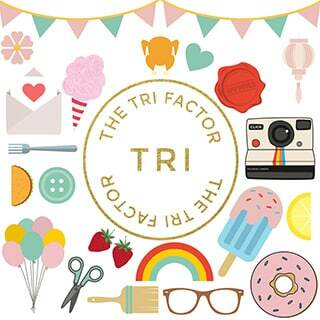 Thank you for bringing all of these wonder products up. As a request to everyone, please let me know if there are more out there that have not been listed. I will repost this article when there are enough edits that need to be made. Love your website the exoskeleton report dot com.Thank you.